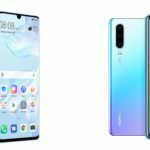 A press release from Huawei Poland that was primarily about hiring a hundred employees reveals that the brand will be launching its next P-series flagship smartphone line-up by the end of March this year in Paris. 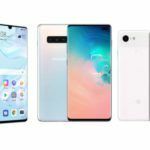 The current-generation P-series flagship smartphone line-up was also announced in March in Paris; the new information falls in line with the company’s track record. According to the press release, Huawei Poland will double its employees in all departments of the company, including sales, customer service, and marketing in order to achieve faster growth in smartphones, laptops, and accessories segment. 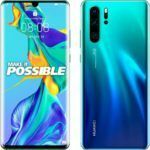 Coming back to the upcoming P-series flagship smartphone line-up from Huawei, they are expected to carry P30 moniker. Rumour has it that there will be three smartphones in the P30 line-up; the P30 Lite, P30, and the P30 Pro. The P30 Lite will have mid-range specs, while the P30 and the P30 Pro will have high-end specs. So far, there isn’t much information on these devices. According to a few leaks and rumors, the P30 Lite has Marie Claire codename, the P30 has Elle codename, and the P30 Pro has Vogue codename. Let us have a look at the expected specifications, and expected Indian launch date and pricing. As mentioned earlier, the current P-series flagship smartphone line-up was launched internationally in March. Huawei launched them in India in late April. Same could be the case with the upcoming P-series flagship smartphone line-up. They could launch in India in late April, or May at most. As for the pricing, the P30 Pro could have the same price tag as the P20 Pro, that is, INR 64,999, while the P30 could be priced somewhere around INR 50,000. The more affordable P30 Lite could carry the same price tag as P20 Lite, which is INR 19,999. The Huawei P30 and the P30 Pro will most probably pack the Kirin 980 SoC that also powers the Mate 20 series. There could be multiple configurations on offer for both smartphones with the base model starting with 8GB of RAM and 128GB of storage and the top-end variant featuring up to 10GB of RAM and 512GB of storage. These smartphones will run Android 9 Pie operating system along with MagicUI 2 customization. The Huawei P20 series is known for its cameras. At the time of launch, they had the best camera performance among all smartphones. Although it has been a year since their launch, they still have one of the best performing cameras. The P30 line-up is expected to carry forward the same legacy. The Rumor mill has it that the P30 and the P30 Pro will have a triple-camera setup on the back including a periscope camera to offer up to 10x optical zoom, a 3D ToF camera, and a standard FoV camera. I guess we will have to wait till the launch to see if rumors are true. Speaking of launch, Huawei will be holding an event at the upcoming MWC 2019 exhibition. 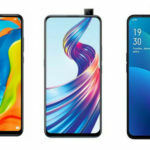 The brand is expected to unveil a foldable 5G smartphone at the event.